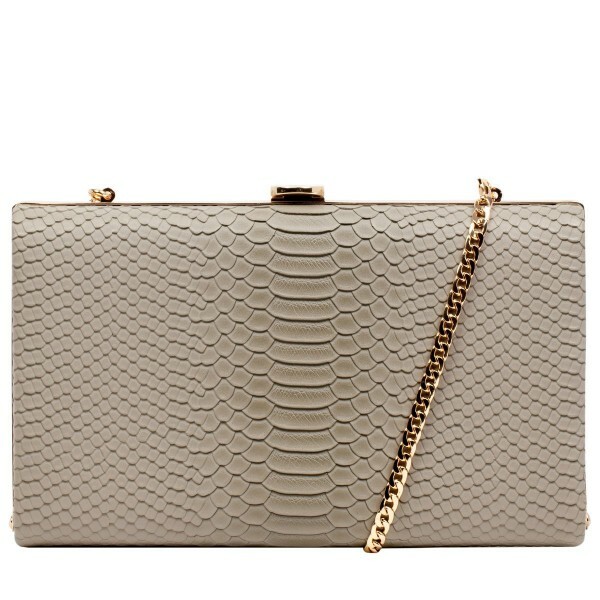 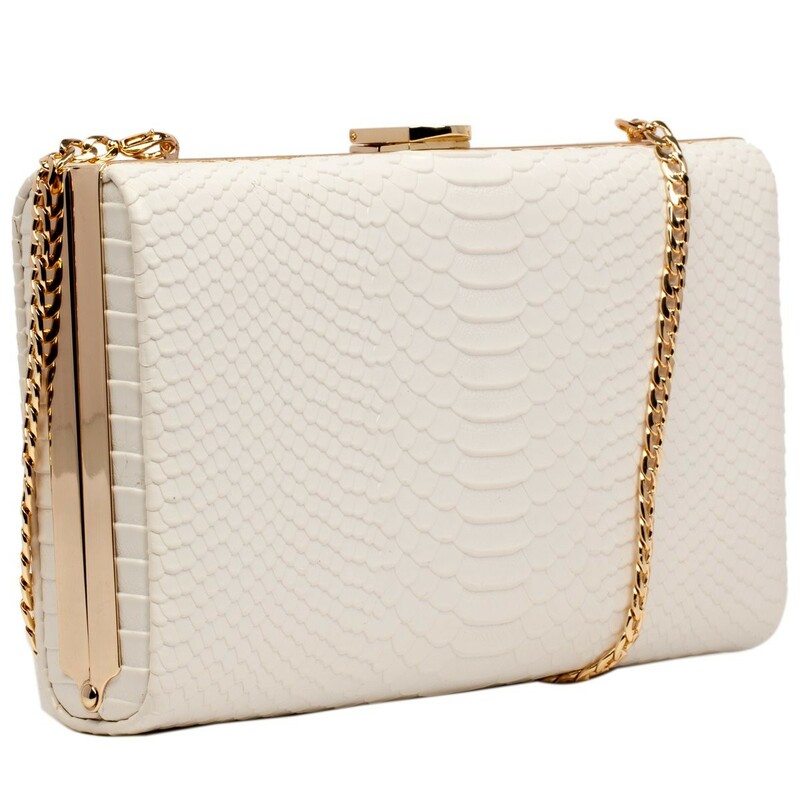 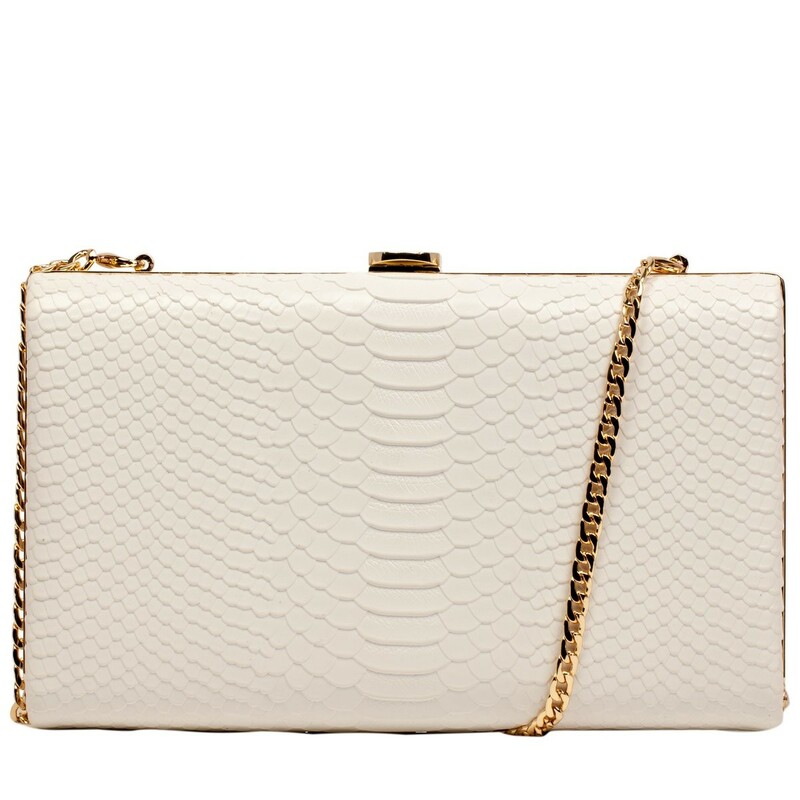 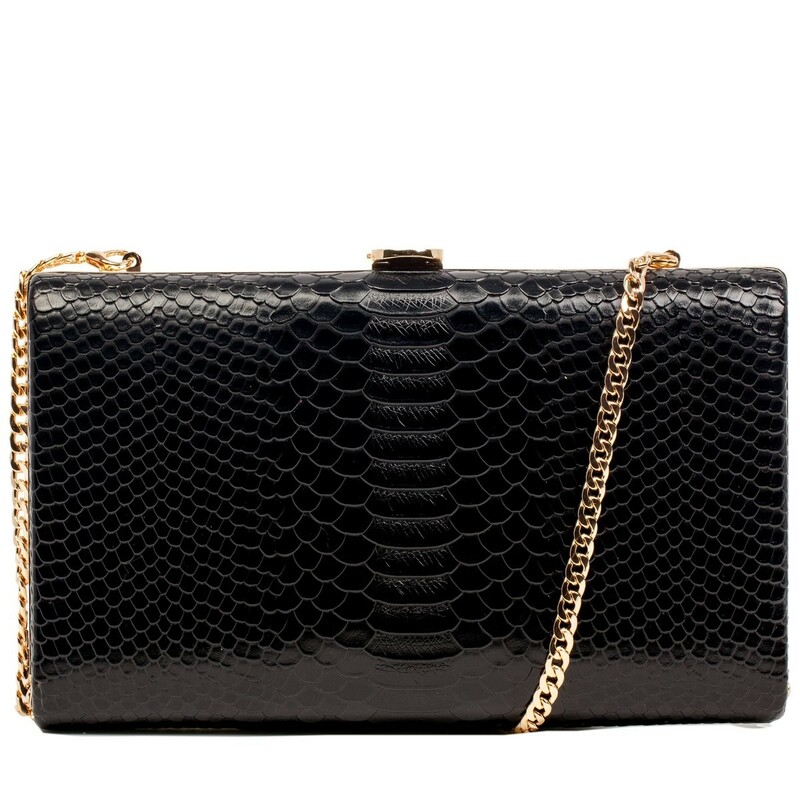 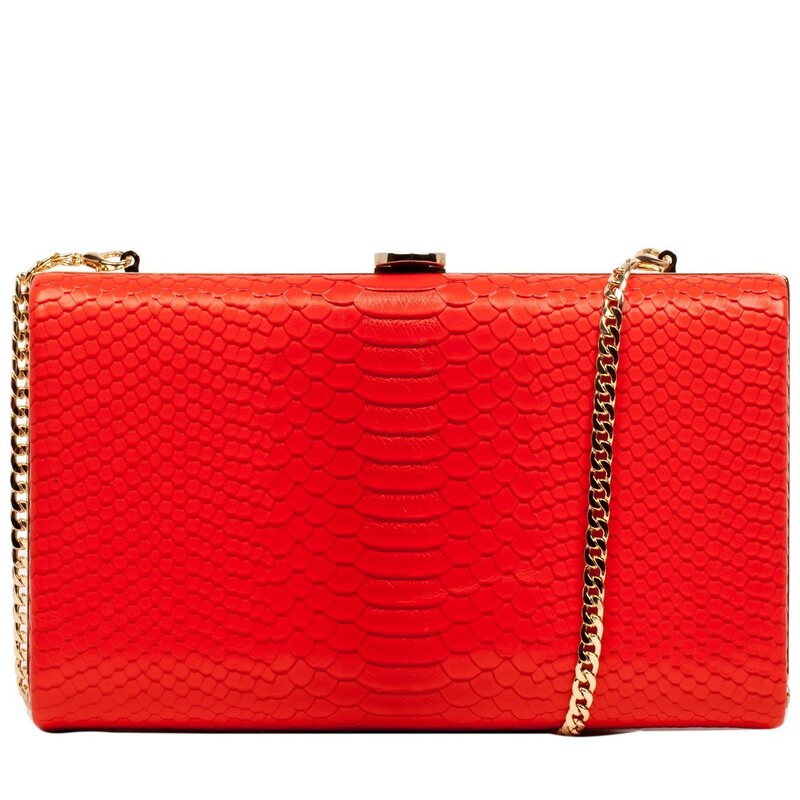 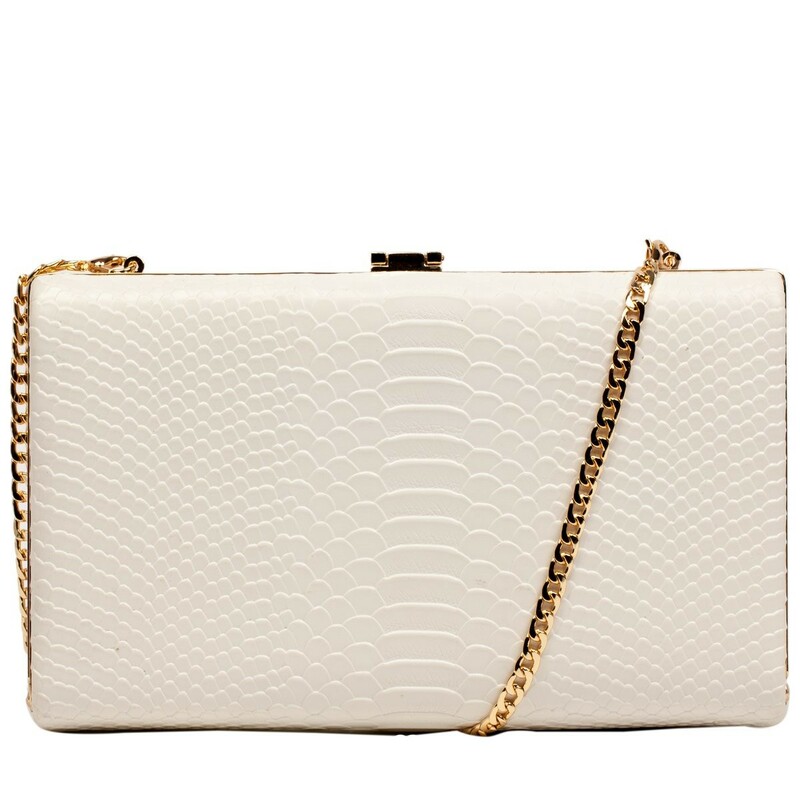 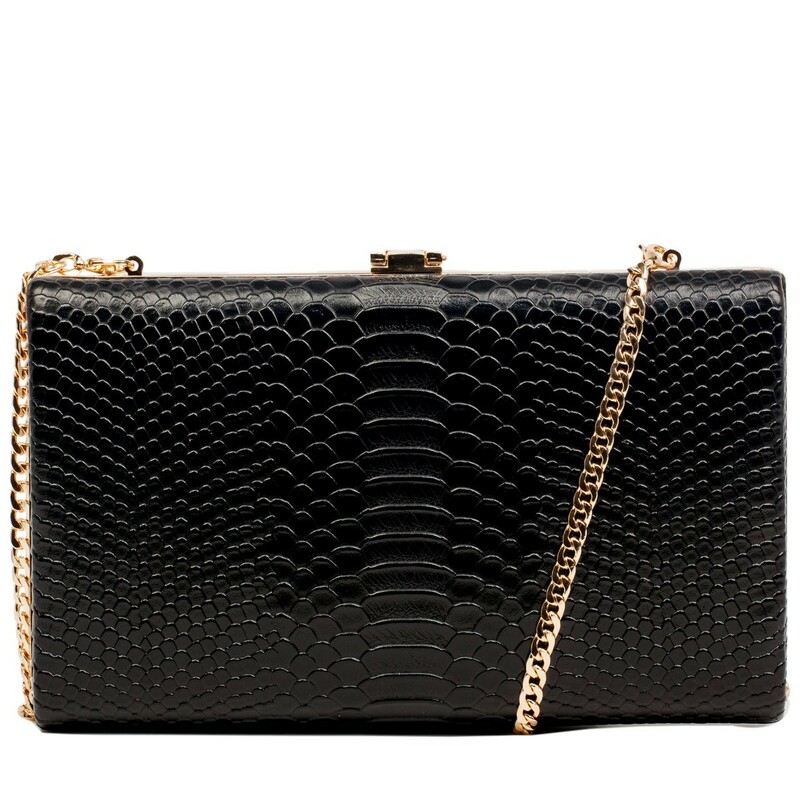 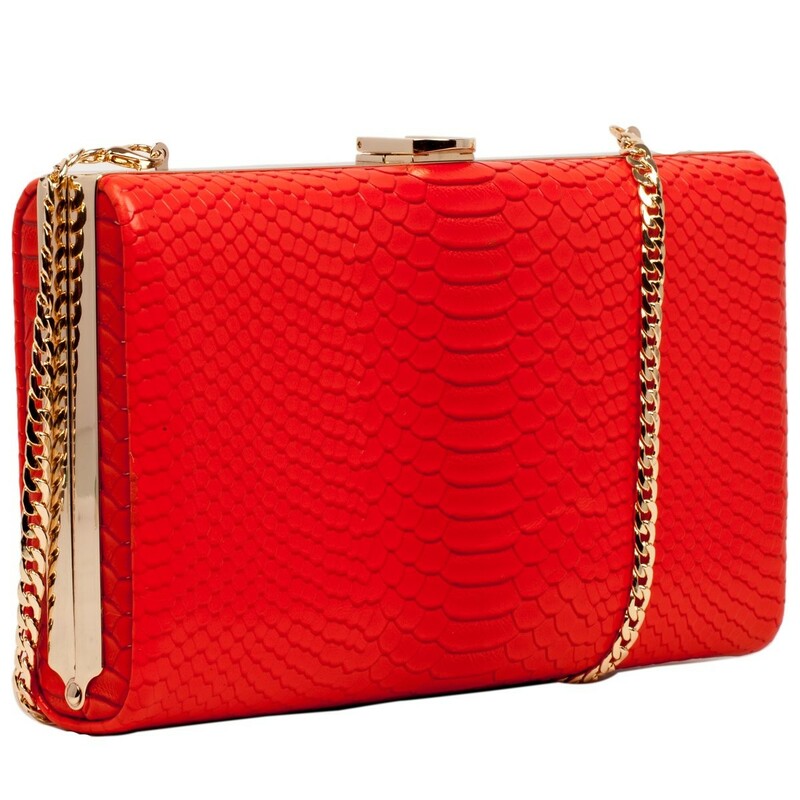 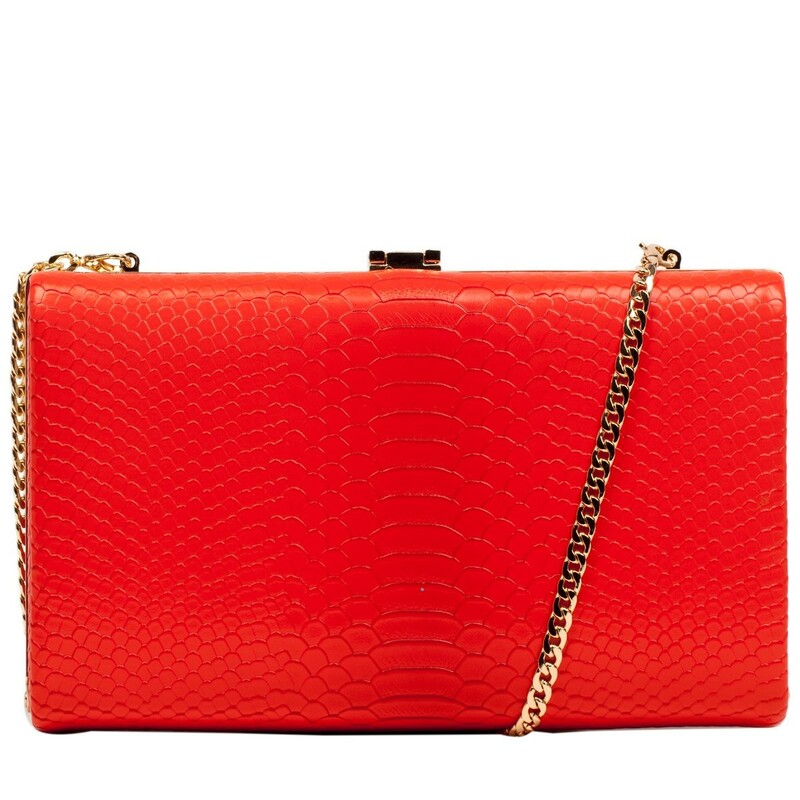 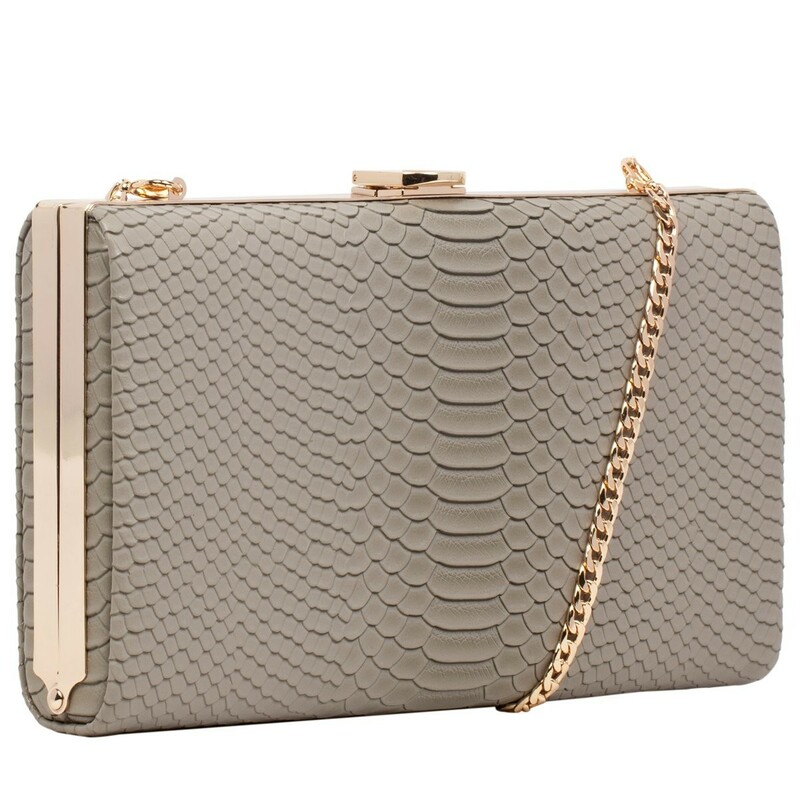 Up your style game with our super stylish Dazzle snake print clutch, the PERFECT go- to party bag. 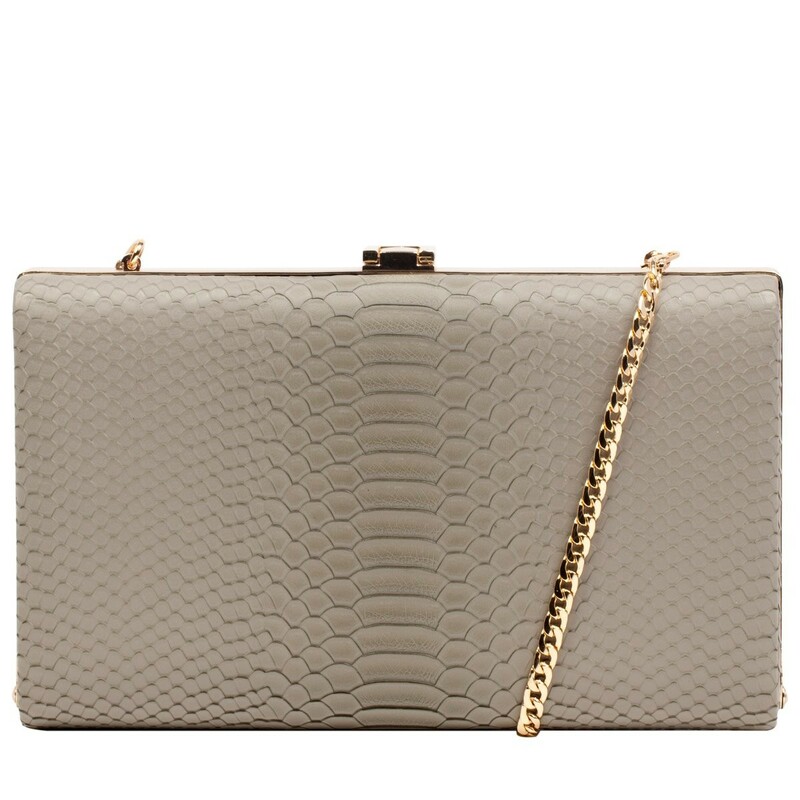 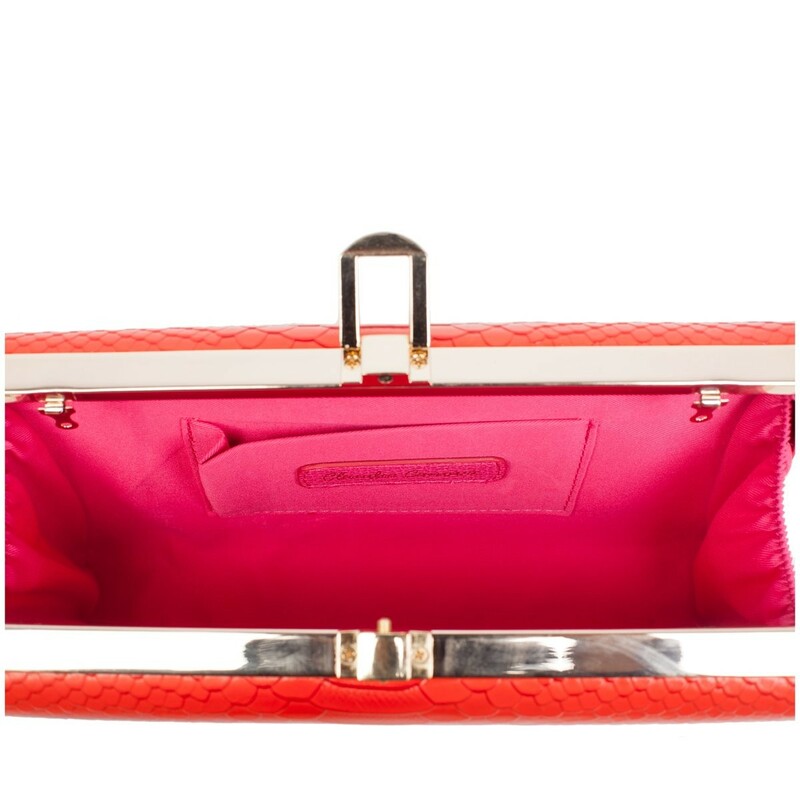 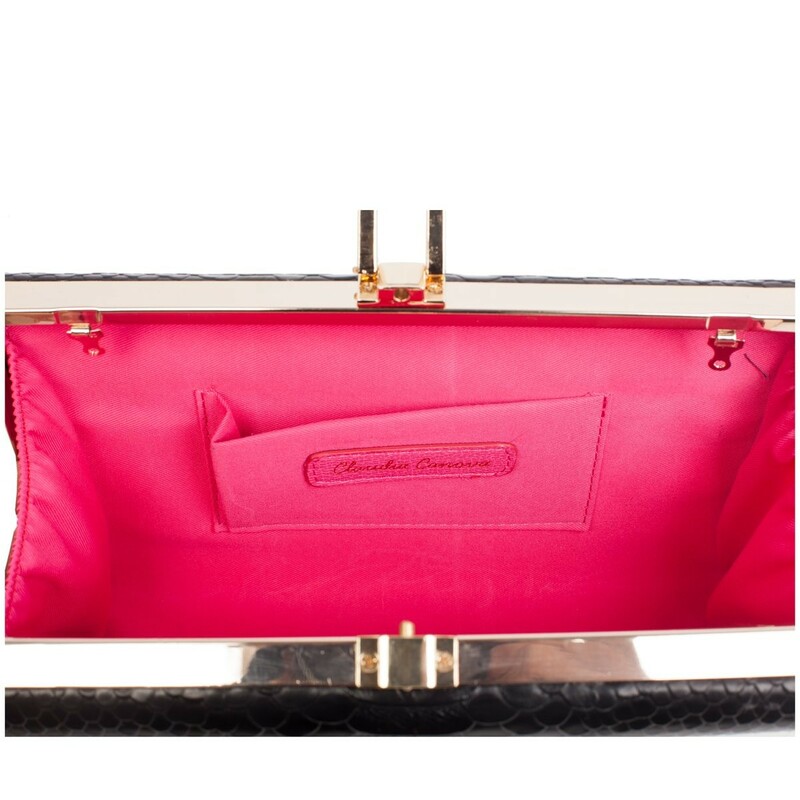 The embossed snake skin texture adds a touch of glam, whilst the hard cased frame and polished gold metal trim adds a touch of fierceness, as well as keeping all your essentials secure. 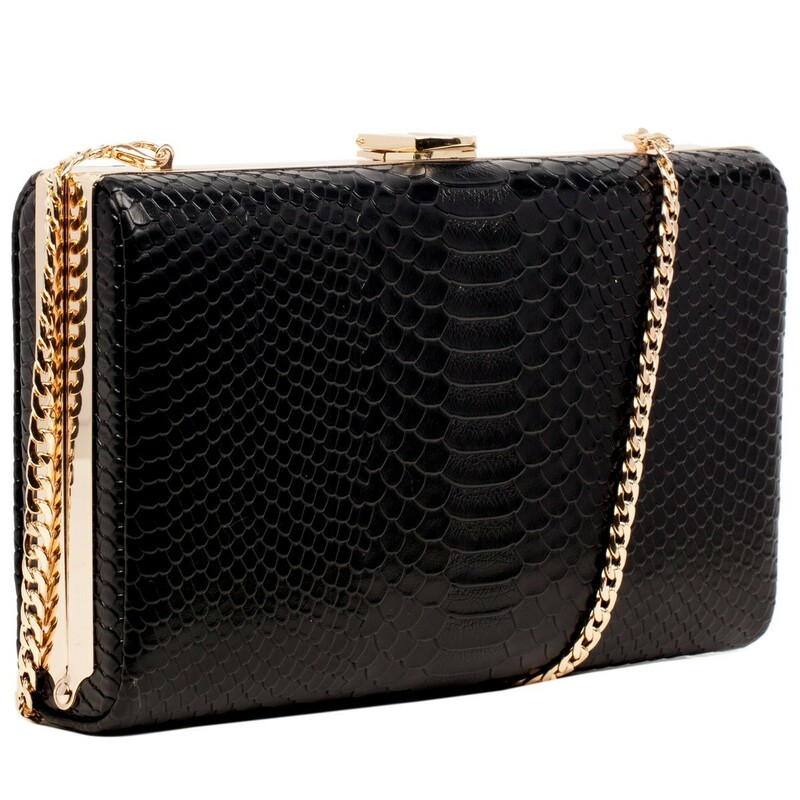 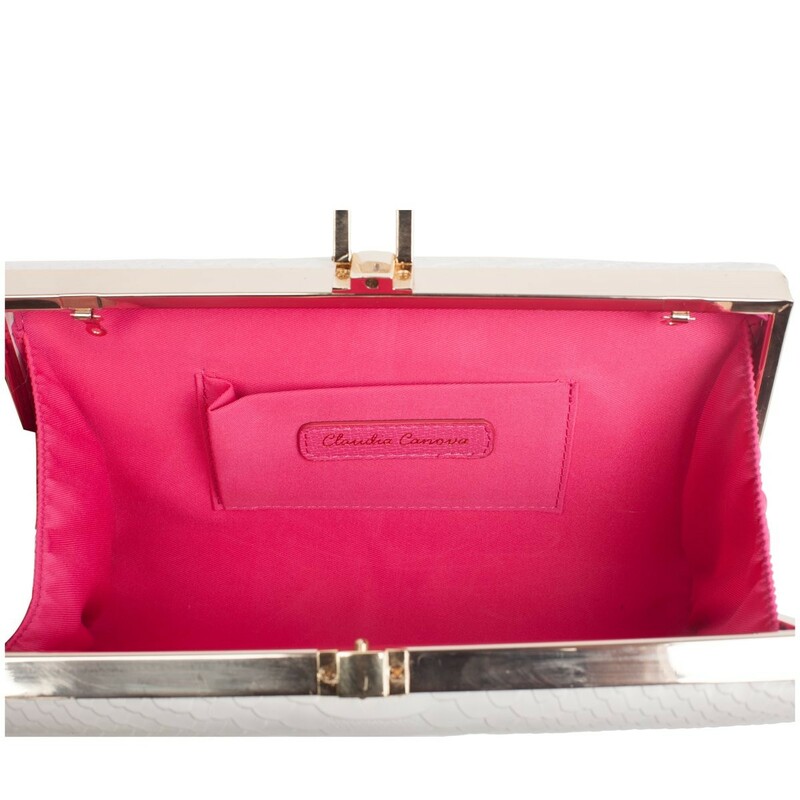 Carry as a classy clutch or wear with extra sass as a cross body using the detachable gold chain.